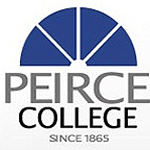 Stevens Strategy provided the design and facilitation of a 5-phased strategic planning process resulting in a new strategic agenda and operational plan positioning Peirce College to become the first choice for career-oriented, non-traditional college students seeking high quality teaching and service. Our expectation for the project was met with the development of the vision statement and our Strategic Agenda. Your experience and expertise allowed the College to achieve our goal of involving many members of the community in a highly collaborative process. The most successful part of the engagement was the structure of the process. It was the driver in our selection of Stevens Strategy as the consultants for the project. The process was very well explained and documented through each of the phases. Meetings were facilitated very well at all levels, including faculty/staff open campus meetings, work groups, steering committee and Board of Trustees. A “safe” environment was created which invited contributions/feedback. Brendan was extremely attentive to the College’s needs, highly professional and communicative, and very knowledgeable in all areas of strategic planning.